As we drove around our rural neighborhood, I was focused off to the right of the truck- trying to capture three deer grazing from far away. 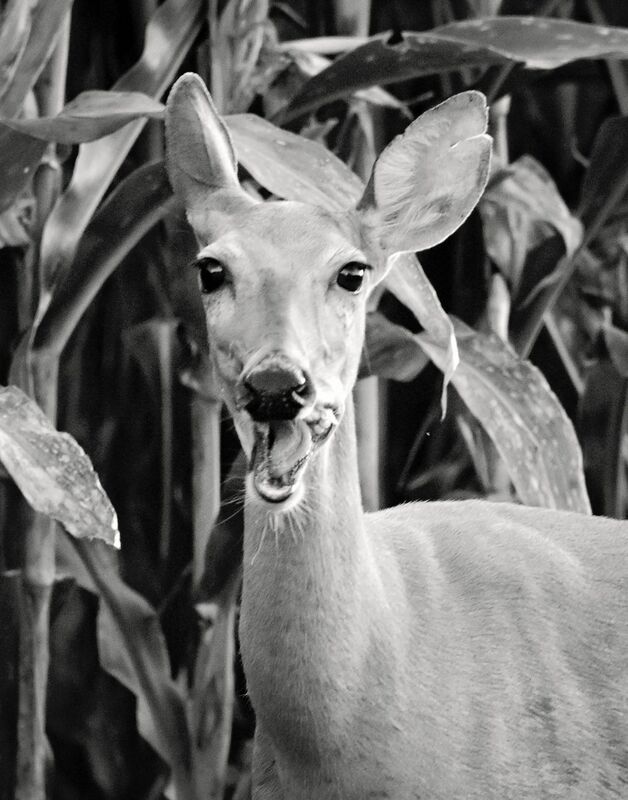 My husband poked me and to our left, at a very short distance, a doe stood in a field's waterway, eating as much corn as she could get! She didn't seem to mind us- she was so close, we could hear her chew. Date Uploaded: Aug. 13, 2018, 6:06 p.m.